First of a series of planned annual auctions for a vast vintage costume jewelry collection will be held Sept. 25th - Hwatien Enterprise CO.,LTD. INDIANAPOLIS, Ind. – Fresh off an exhaustive series of 16 auctions conducted over a span of nearly 15 months that saw the complete liquidation of the Bonny Yankauer collection of vintage costume jewelry, Ripley Auctions is jumping right back into the deep end of the same pool by announcing the first in a series of planned once-a-year auctions for the Brett Benson Collection. Brett Benson is a dealer-collector and owner of D. Brett Benson, Inc., in West Pam Beach, Fla.
Benson’s passion is 1940s and 1950s-era American and European costume jewelry. He is now prepared to share his vast collection, one year at a time, starting with an initial auction planned for Monday, September 25th, in Ripley Auctions’ gallery, at 2764 East 55th Place in Indianapolis, beginning promptly at 3 pm Eastern time, and online, via the internet platform Invaluable.com. The Benson auction will contain 317 lots hand-selected by him and featuring names like Trifari, TKF, Boucher, Chanel, Joseff of Hollywood, Miriam Haskell, Coppola e Toppo, Hobe, Dujay, Schreiner, CoroCraft, Kenneth Lane, Mazer, Jomaz, Valentino, Reja, Karl Lagerfeld, Giorgio Armani, Anna Langani, Christian Dior, Francis Gera, Mary McFadden and Countess Zoltowska. Trifari jewelry will feature a rare, over-the-top pave and enamel serpent pin with dangle crystals, designed by Alfred Philippe of Cartier and boasting unfoiled topaz crystals and pave rhinestones (est. $3,000-$5,000); and an eagle with flag pin from Trifari’s patriotic series, also designed by Philippe in the Cartier style, with red rhinestone baguettes and pave rhinestones (est. $500-$750). The name Marcel Boucher (or “MB”) will be called frequently throughout the day. Three lots are rare MB enamel mechanical clips. Pull the chain and the Asian dancer and Punchinello “dance’ and the door to the birdhouse opens and a cuckoo pops out (est. $2,000-$5,000 each). 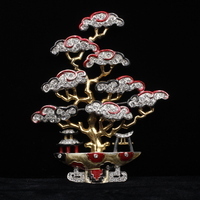 Also sold will be an early signature MB pearlized enamel bonsai tree pin, very rare (est. $5,000-$7,500). A Miriam Haskell Egyptian collar of coral and turquoise glass beads, gold and red crystal beads was originally purchased by a Chicago stylist in the 1970s at Marshall Fields, for the original price of $1,000. It’s expected to realize $2,500-$3,500. A beautiful, unusually designed Miriam Haskell multi-colored crystal and pearl lariat necklace, 32 inches, should garner $1,000-$1,500. A whimsical CoroCraft sterling enamel and pave rhinestone bird with en tremblant head (it’s on a spring and jiggles), pictured in the book Jewels of Fantasy by Deanna Farneti Cera, is expected to reach $1,000-$2,000; while a wonderful Coro blue enamel “day-night” necklace with hinged flower petals that open (for day wear) and close (for evening wear) should rise to $500-$1,000. Around a dozen lots are pieces made by Dujay, about which little is known except they were one of the most exclusive and expensive producers of American costume jewelry in the 1940s and ‘50s. 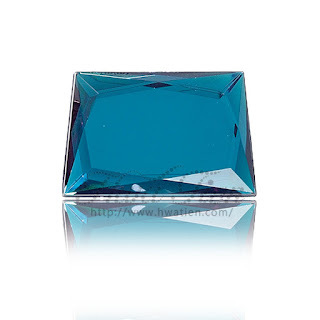 They also made copies of fine jewelry for clients who wore them as “travel jewelry.” Five other lots are pieces of Ian St. Gielar, designed especially for the wife of the artist’s best friend. A rare, tubular gold bead and diamante bracelet by Coppola e Toppo for Valentino is expected to climb to $2,500-$3,500. Coppola was one of the leading designers from the 1950s thru the ‘70s. Also, a 1970s Kenneth Lane “Jackie O” necklace (named because there’s a photo of Ms. Onassis wearing one), with natural tiger’s eye cabochons and pave rhinestones, should hit $1,000-$1,500. An exceptional and unusually long (26 ¼ inches) Austro-Hungarian enamel and jewel-encrusted silver pendant necklace fits nicely with current fashion trends and is estimated at $2,500-$3,500. Also, a rare geometric design micro glass bead necklace (or lariat), made by Wiener Werkstätte, an early 20th century Viennese group of craftsmen and designers, should finish at $1,000-$2,000. Lots #243 and 244 are early mixed-media art glass, brass and cord Modernist pendant necklaces by the Chicago artist Michael Higgins, circa 1960s, both with estimates of $500-$1,000. Also, a very scarce Mazer Bacchus clip mask with rhinestones, decorated with pale green and light blue leaves and one of the rarest pieces by this maker of themed masks, should fetch $1,200-$1,500. The Bonny Yankauer auctions are worth a mention if, for nothing else, the sheer volume of what came up for bid, often in box lots: a veritable avalanche of costume jewelry pieces collected by Ms. Yankauer, who succumbed to cancer last year at age 80. Bonny especially loved Haskell, Trifari and Hollycraft and was a frequent exhibitor at the Triple Pier antique show in Manhattan. To learn more about Ripley Auctions and the first annual auction dedicated to costume jewelry pieces in the collection of Brett Benson, please visit them online at www.RipleyAuctions.com.